Blast! Films is making a documentary about late motherhood for Channel 4, a British TV channel with a reputation for their high quality factual programming. We want to highlight and celebrate some of the amazing stories of women having children later in life. To do so we need to speak to the families who chose to do this and the doctors who make it possible. We believe that a documentary showing what motivates women to become mothers later in life will act as an inspiration and reassurance to many ‘older mums’ in the future. I am a researcher who would like to speak to women over 48 who are either; going through assisted conception treatment; or lucky enough to be expecting babies. We appreciate that the process is a personal one, so at the moment, I would like to talk to women off-the-record and in confidence on the phone. Speaking to me does not involve a commitment to being filmed. But, speaking to me could help us to make a sensitive and thorough documentary which takes a more compassionate look at this area than we often see in the media. Blast! Films are a highly respected TV and film production company with a reputation for making films about timely and delicate issues. We have won many awards – most recently a BAFTA for the cinema release Hunger, a drama about the Bobby Sands hunger strike. I think this is a worthwhile project. I feel that mature mothers often make better parents . They are older and wiser - and most of the older women who approach us are smart, articulate, well-settled and affluential - people who know their own minds and are willing to think out of the box. Unfortunately, most people still have a very prejudiced view and feel that it's "unnatural" to help older women to have babies. We need women who would like to present their point of view ! Are you stuck in a rut? The day-to-day grind of long hours and endless paperwork make it easy to lose sight of the reasons you chose a life in medicine. It's little wonder that the needs of your practice tend to overshadow the dire needs of others around the world, and the ways you could help make a difference. The next time you're due for a break from the office, you might strive to renew your love of medicine with a volunteer mission. Dozens of organizations, both domestically and internationally, need primary care physicians to treat the millions of people suffering from acute and chronic conditions as a result of poverty, natural disaster, armed conflict, and other factors limiting access to sufficient care. Medical Economics spoke to physicians who volunteer with a number of these organizations, from those operating around the world to those just around the corner from your practice. Read on to learn about many of the top programs, which offer great relief to those in need—and perhaps to you as well. Being infertile can be stressful ! We have produced free online games to help couples reduce their stress ! Leprosy is now an almost forgotten disease. However, it used to a major scourge in the past - and there is a lot we can learn about doctors, social attitudes , philanthropists , religious attitudes and coping mechanisms by studying how we dealt with this in the past. ...there is a need for a comprehensive study of leprosy in the colonial period, based on social, medical, legal, and policy perspectives, and which addresses Indian anxieties and responses. The Bombay Presidency has been selected as a location for three reasons. It was a microcosm of India. It was unique among the three Presidencies in that it was there that the capitalist system on which the British Indian empire was founded, produced the largest number of Indian commercial magnates, -- the shethias. Also, the introduction of Western education resulted in the rise of an articulate and politically conscious English-educated professional class. Missionary involvement in leprosy was comparatively low key in this Presidency, being confined to running a few small asylums by the close of the century.27 Thirdly, Bombay was the backdrop for important medical and therapeutic studies on the disease by Indian and British doctors, providing an opportunity to investigate their motives and biases. The period selected for study, namely 1840 to 1897, was marked by growing anxiety, activism and medical curiosity about leprosy. This little gem can teach us a lot about how we dealt with dreaded diseases in the past. While leprosy has become much more manageable, I am sure we will have other diseases to deal with in the future , such as AIDS and bird flu. We can improve the way we respond to these social crises by learning from our mistakes made in the past. Words are powerful - especially when they are used with a hidden agenda. For example, I have always been mystified by why a medical termination of pregnancy ( MTP, or termination of pregnancy, TOP) is called "feticide" in certain settings - and an abortion in others ! Are certain fetuses more special than others ? TELEHEALTH IN THE DEVELOPING WORLD: International Development Research Centre: "Health care is primarily about people-to-people interactions. It is about understanding, diagnosis, physical contact, communication, and, ultimately, providing care. By bringing people together, telecommunication technologies have the potential to improve both the quality of and access to health care in the remotest areas of the developing world. Telemedicine offers solutions for emergency medical assistance, long-distance consultation, administration and logistics, supervision and quality assurance, and education and training for healthcare professionals and providers. You can read the full book online free here ! GuidedMed : "GuidedMed is a guided health and medical information search engine. It is not a medical diagnosis or decision making tool. GuidedMed uses a questionnaire to guide your entire search process." This is a cool tool, to help you make sense of some common symptoms. It's not going to replace your doctor, but is a useful starting point. I have always been impressed by doctors who do not limit themselves to practising medicine and look for new horizons to conquer. Being a doctor gives you insights into life which few other people get to see . Unlike judges, who usually see the seamier side of life and tend to have a prejudiced view of mankind ( because they have to deal with disputes day in and day out), doctors are usually much more optimistic and upbeat, because they deal with inspiring patients, who fight their disease bravely and live their lives courageously. Unfortunately, few doctors are blessed with the ability to write well - and even fewer have the desire to share their life time of accumulated wisdom with others. Fortunately, there are exceptions, and one of my heroes is Dr Ravin Thatte, a senior plastic surgeon from Bombay, who has just released his new book today, called Discovering a Galaxy - En Route to Dervan. "Dnyaneshwari (or Jñaneshwari) is the commentary on Bhagavad Gita written by Marathi saint and poet Dnyaneshwar during the 13th century at age 16. This commentary has been praised not only for its scholarly, but also for its aesthetic value. The Dnyaaneshwari provides the philosophical basis for the Bhagawata Dharma, a Bhakti sect which had a lasting effect on the history of Maharashtra. It is one of the foundations of the Marathi language and literature, and continues to be widely read in Maharashtra. The Pasayadan or the nine ending verses of the Dnyaaneshwari are also popular with the masses. Dnyaneshwar expanded the Bhagavad Gita, which consisted of 700 shlokas (Sanskrit verses), into around 9999 Marathi verses (ovis). The first line of each ovi rhymes with the next two, rendering a lyrical quality to the entire work." 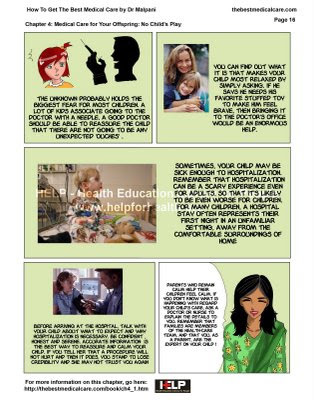 http://issuu.com/malpani/docs/dnyaneshwar_0239 - please do check it out . I promise you it will be worth your while ! Well-informed patients - boon or bane ? I was wondering why more hospitals don't have patient education libraries and why more doctors don't prescribe Information Therapy. After all, this is such a simple, inexpensive way of keeping patients happy; reducing medical costs; and improving patient inflow. I think I have finally figured out the reason after talking to the administrator of a leading hospital in India today. 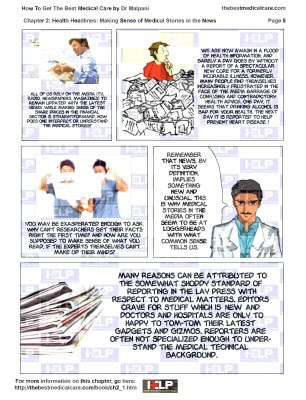 He said, quite candidly, that " well-informed patients can be a pain in the neck " ! And this is when I finally realised that the reality is that most doctors are quite happy keeping their patients as poorly informed as possible, because it's easier to get " compliance" when patients don't ask too many questions. Ignorant patients tend to put doctors on a pedestal - and this is quite a comfortable position to be in, when you are a doctor ! You don't have to " waste time" answering questions from pesky patients - and you can use your time more "productively" to see more patients. What George Bernard Shaw said over 100 years ago is still true - most professions are a conspiracy against the laity ! There are many articles which describe how India is becoming the "surrogacy capital " of the world. This is why we get requests from many couples for surrogacy treatment. This is technically easy treatment for an IVF clinic to offer - and is extremely profitable as well ! So why don't we offer it in our clinic ? The reason is simple- because we think it's not legal. Doing surrogacy is perfectly legal. Since surrogacy is not prohibited by law, any IVF clinic can offer this legally. 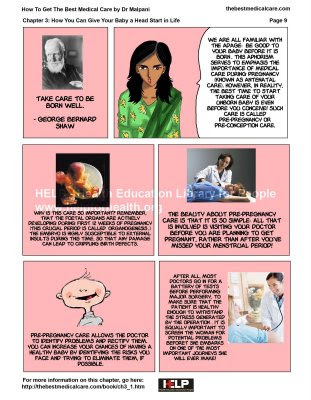 The problem arises only after the surrogate gives birth. Today, Indian law only recognises a birth mother. This means, the name on the child's birth certificate has to be that of the birth mother ( the gestational surrogate); and her husband, no matter whose eggs or sperm are being used to make the baby. What clinics are doing today is illegally putting a false name on the birth certificate - the name of the genetic ( intended parents). While this is understandable, the fact still remains that the name if being fudged illegally - and this can create problems if disputes arise. Many infertile couples are desperate enough to ignore the risk . Many IVF clinics openly advertise that they offer commercial surrogacy in India by claiming to follow " ICMR guldelines" - which have no legal sanctity whatsover ! In addition, many journalists have written about surrogate success stories, so that couples still do not realise the risk they are running. What I find surprising is that no journalist has bothered to investigate how these clinics manage to put the intended parents name on the child'r birth certificate, so that they can take their baby back with them after birth ? Is the Municipal Corporation health officer ( the legal authority which issues the birth certificate) being hoodwinked ? Or are they being managed ? I'd love to know , so we can start offering surrogacy services ourselves to couples who ask us to do so ! 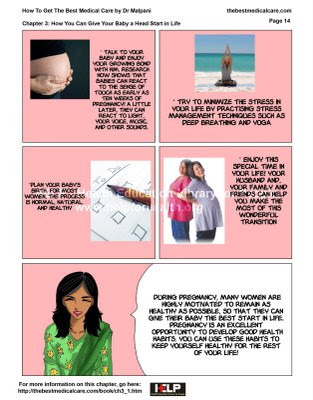 We have created some games for infertile couples, to help them cope better with their stress. 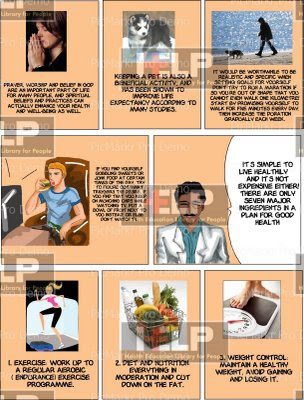 Check these out at www.drmalpani.com - feedback would be welcome ! 315 mn need health insurance: CII- Hindustan Times: "With less than 10 per cent of the Indian population having some form of health insurance, the potential market for health insurance is huge. According to Confederation of Indian Industry (CII) estimates, the there are 315 million people needing insurance with an approximate potential of $ 7,700 million in health insurance premium by 2015. “So, far there is very little awareness about health among masses and the government is not doing enough,” said Dr Prathap C. Reddy, chairman of CII National Healthcare Council and Apollo Hospitals Group. CII insists healthcare should be given “infrastructure or priority” status. Sensing the growth potential in the healthcare industry, Dr Reddy said the government should set up a health development fund to be managed by a central agency or the development banks with participation from private promoters." Why doctor profiling is a bad idea: "Profiling is an insult to doctors and just another example of how bad it can get for doctors when they let insurers decide on standards for quality and cost-effectiveness. Eventually, profiling will be used to make doctors conform to the conveyor- belt policy that is suited for dealing with inanimate objects like automobiles, computers and radios. Profiling represents one of modern medicine’s great inconsistencies. Because it is driven by strategies dedicated in part to generating profits for shareholders, it is incompatible with the qualities of caring and service that patients expect from doctors." Doctors versus health insurance companies: "Economic oversight of doctors performed by heath insurers carries an inherent flaw that cannot help but undermine doctors’ integrity and their bonds with patients. That flaw is the inextricable relationship that insurers have with shareholders. Having to generate profits will always present a dangerous temptation for insurers to rationalize that good guidelines are good medicine. How can it be otherwise when CEOs and top executives have to present their strategies to boards of directors whose main responsibility is fiscal not medical? The ascendancy of guidelines began when managed care began to exert their new-found power to control the way that doctors practice and the tests that they order. Since then, most doctors’ impressions of them is that they are a pretense for improving care. Although guidelines seem clear intellectually, they don’t easily translate into practice because they cannot reflect the real-time concerns and pressures that doctors deal." The seven sins of physicians: "Asher's papers have a timeless quality - and, like some of our medical classics, deserve rereading from time to time. His lecture 'The Seven Sins of Medicine' is as instructive as it is entertaining. First published in The Lancet, on 27 August 1949 and re-published in a collection of his essays (10), his comments are directed to seven sins although he asserts that there are 'an unlimited number.' His lecture, he said, was given in the hope that 'those students who wish to avoid them (the sins) may do so, and those who wish to indulge in them may enlarge their repertoire or refine their technique.' The seven sins of medicine are identified as obscurity, cruelty, bad manners, over-specialization, love of the rare, common stupidity and sloth. The lecture, as topical today as it was some 35 years ago, serves as a gentle and humorous reminder of the pitfalls of medical practice." Dr Advani , Special Officer , Dept of Health, Bombay Municipal Corporation is doing a great job with popularising the No-Scalpel Vasectomy technique in Bombay, to enourage men to limit their families. This video shows how easy the technique is, when performed expertly ! 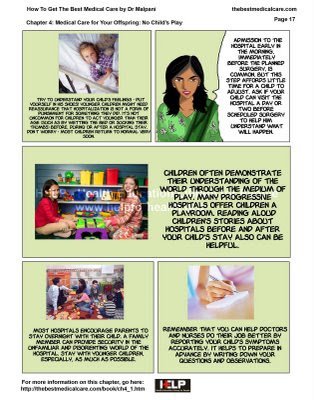 This is Chap 4 from the graphic guide to How to Get the Best Medical Care . 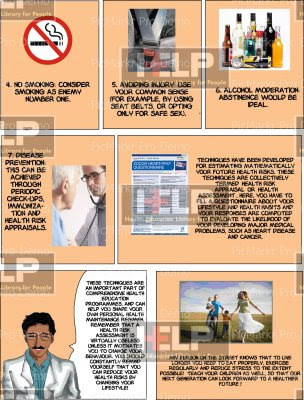 This is Chap 2 of our new graphic guide to Getting the Best Medical Care. The Six Habits of Highly Respectful Physicians - NYTimes.com: "The 'three Cs' - courtesy, compassion, and competence - are all too often missing in the modern practice of medicine. 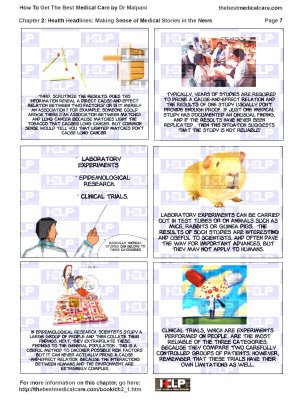 And yes, medical schools often are guilty of neglecting at least the first two of these - and sometimes even the third. But the miserably archaic health care system in the U.S. must share much of the blame. We ask physicians to operate within a system in which hospitals often are more interested in profit than in patient well-being; in which managed care organizations place administrative staff without medical training in key positions with the authority to deny or delay critically-needed care; in which obligatory paperwork based on a daunting combination of artificial cost-containment, litigation-avoidance, and cover-your-posterior concerns seriously frays the nerves (and dangerously extends the hours) of nurses and physicians alike; and in which millions of patients delay seeking needed care (and thereby severely complicate their treatment) because of a lack of health insurance coverage." Patient Compliance " The first clinician to see the patient for a given ailment is actually providing a second opinion. It is the rare patient who does not arrive at a doctor’s appointment without forming an idea about what his or her symptoms portend. The source of the patient’s self-diagnosis may have been the New England Journal of Medicine, the Miracle_Snake_Oil.com web site, the 90-second personal health feature (inevitably called “To Your Health”) produced as a school project by the local TV station’s 19 year old intern, the overheard fragment of a conversation between two psychiatrists at a party, or my Aunt Hazel from Broken Arrow, Oklahoma. Even if the ideas are inaccurate — make that especially if the ideas are inaccurate — the failure to ask about and listen to these ideas is dangerous." Unless doctors learn to look through their patients' eyes, they'll never be able to go a good job ! SBAR: A communication formula for patient safety - The Boston Globe: "In these times of staffing shortages and higher acuity patients, we are constantly forced to do more with less. Quite often, time is the resource we seem to need the most. Time management, setting priorities, and honing our organizational skills are all essential abilities that enable us to provide optimal care and promote positive patient outcomes. Yet we waste time and increase the chance of patient harm when our communication is disorganized and unclear. There is, though, an effective technique that can be used to clarify and streamline information exchanges. It's called SBAR, and it stands for Situation, Background, Assessment, and Recommendation." 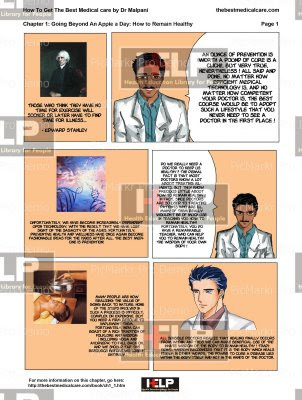 This is version 1.0 of our new comic book. Feedback and comments are welcome - please help us to improve this. The Truth About Health Insurance Companies / Health Insurance Plans: "Insurance companies aren't all that interested in covering your medical expenses. They are interested in making money. If you are shopping for health insurance, you and your prospective insurance carrier are in the midst of a strange mating ritual. Your prospective insurer really wants your patronage, and the money they will make on your premiums. At the same time, they really don't want the burden of paying on your medical expenses. So your prospective insurer is trying to woo you with the 'best' (read, most expensive) coverage available, while also trying to obtain as much 'dirt' on you as possible in terms of your medical history. If they can get the scoop on your medical history, while convincing you that you need maximum coverage, they will make the maximum return on your insurance policy. Meaning - you pay more." The sooner we all realise this fact, the better ! Patient, Doctor and Society Skill Videos - IME Video Library: "These videos are used for the Patient, Doctor and Society (PDS) course at the University of Wisconsin School of Medicine and Public Health. PDS is a four-semester course, focusing on biological, psychological and social aspects of patient centered care. The course teaches communication skills, physical examination, evidence-based medicine, professionalism and health care in society." 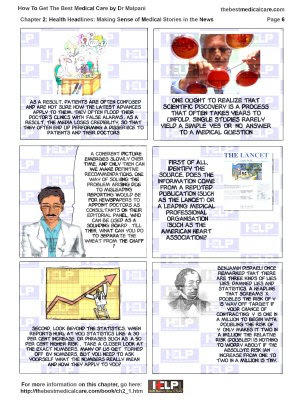 These are great videos to teach medical students how to take a medical history. 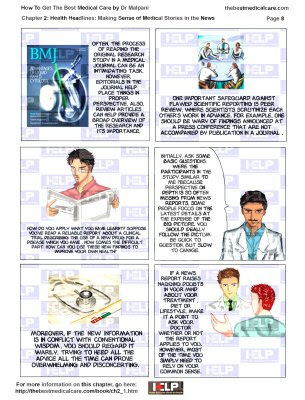 They are also very useful for patients who want to know why doctors ask the questions they do - and how to answer them, so they can provide an intelligent medical history. Web-Based Virtual Patients: "'Web-SP is a generic web-based, interactive, student activating patient simulation system, with a built-in authoring tool allowing any teacher to develop cases with ease. Most important case simulation features are available, including: interactive history taking, physical examination, lab section, diagnosis and differentials, therapy, interactive session feedback and integrated online resources." What a great way of teaching medical students all about taking a history and making a diagnosis !